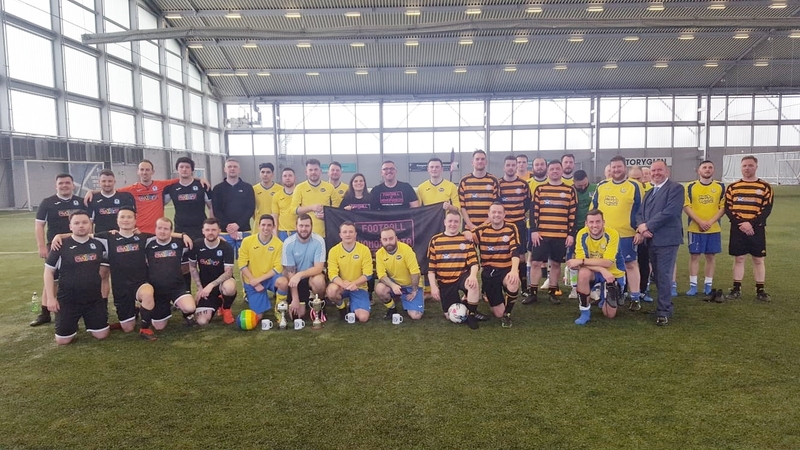 The anticipation and excitement in the air was apparent with the teams - BTP D Division, BTP C Division, LGBT-friendly football team Saltire Thistle FC, and Police Scotland - quickly getting to know one another and make their introductions. On hand to help the day run smoothly were Andrew Piper and Carolina Souza of LEAP Sports Scotland, Frazer Robertson (LINK Network Executive Member & Scottish LGBTI Police Association Chair) and Derek Jackson of British Transport Police D Division. Frazer Robertson opened the event and gave the players and supporters a brief of just how important events like this are and provided them with some examples of sports players and children who have been subject to homophobic abuse. Co-Organiser Gary Weir of D Div said "We all knew how important events like today are, but listening to Frazer tell us what men, woman and children have to go through at times simply because of their sexuality really hit home and was quite emotional." 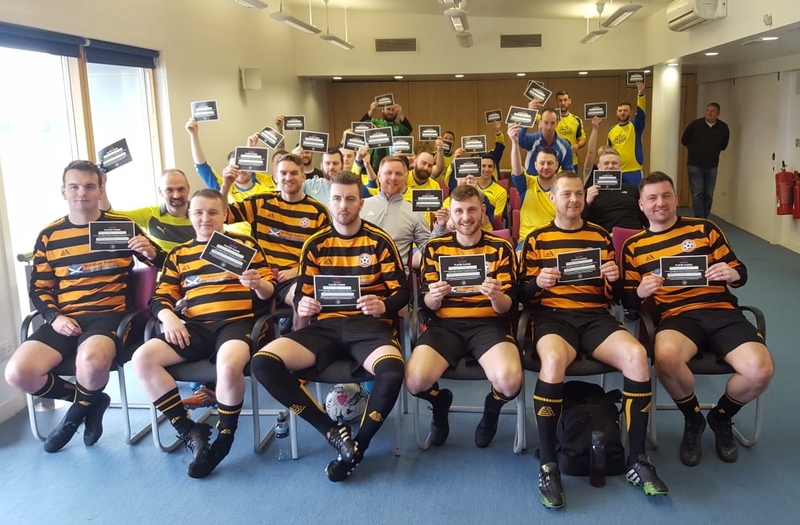 With the players eager to get started the draw was made and pitted Saltire Thistle against Police Scotland and produced a friendly derby with BTP's two teams 'D' and 'C' Division facing off. Proving just how sporting the competition was, C Division had some late calls off so the D Division team graciously offered them some squad members to help them along. This left D Division without any substitutes but determined that the competition be played in the right spirit both matches kicked off. After a slow start, the Saltire Thistle vs Police Scotland match burst into life with a flurry of goals from a youthful Police Scotland side. 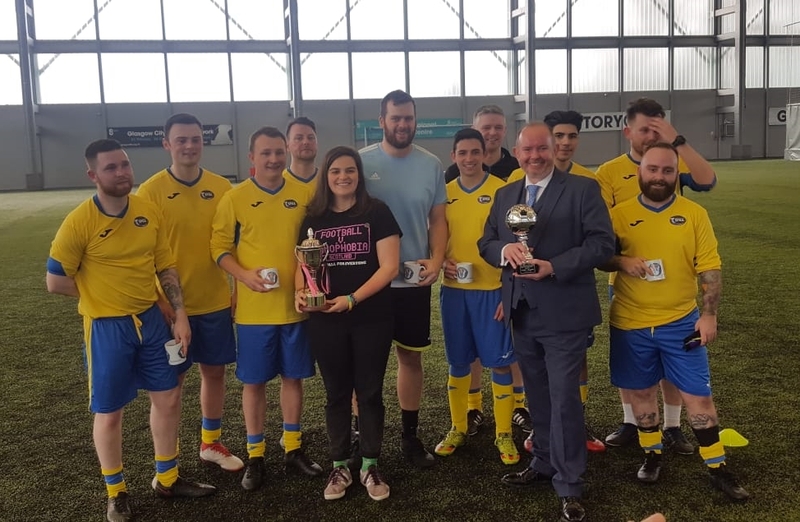 Despite some dogged determination from Saltire Thistle, it was Police Scotland who sealed their place in the final, running out 5-2 winners in a match enjoyed by the supporters present. C Division were rather less fortunate as they came up against a sleek and energetic D Division side [Editor's note: reader, can you guess which side our match reporter was playing for?]. The latter team dominated the match from the off and with some of the passing on show drawing applause from the crowd, D Division ran out comfortable 6-0 winners. 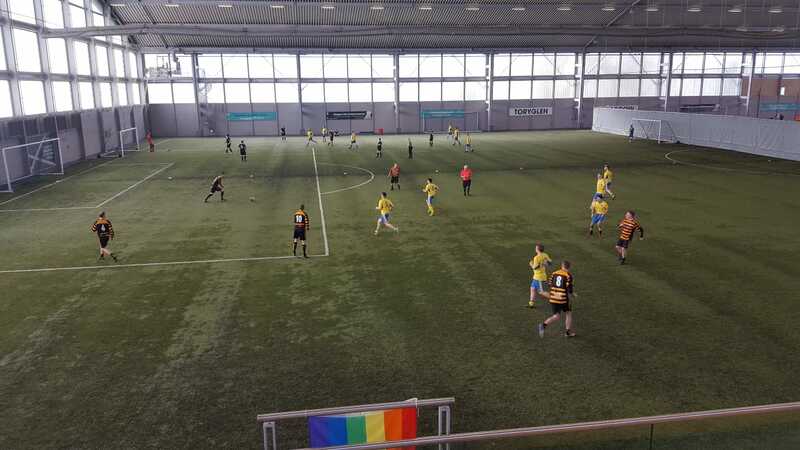 After a short lunch break the 3rd and 4th place play off between Saltire Thistle and C Division, and the tournament's Final between Police Scotland and D Division, got underway. With legs weary, Saltire Thistle and C Division kicked off. From the offset Saltire controlled the tempo of the match, using their experience to pick off their plucky opponents and despite great determination from C Division, Saltire were 9-4 winners and sealed third place. The final between Police Scotland and D Division started off as a cagey affair, showing each other great respect and cancelling each other out in the first part before Police Scotland found an extra gear. Despite some heroic goalkeeping from D Division's Martin Graham, Police Scotland took the champions trophy after a 5-0 victory. It was apparent that the generosity and sportsmanship in volunteering remaining members of the squad to C Division would eventually be the downfall of the D Division but summed up the manner and spirit in which the tournament was played. Chief Superintendent Eddie Wyllie was in attendance to thank all the participants and volunteers for their efforts in making the day such a success and to hand over the trophy to the winners. 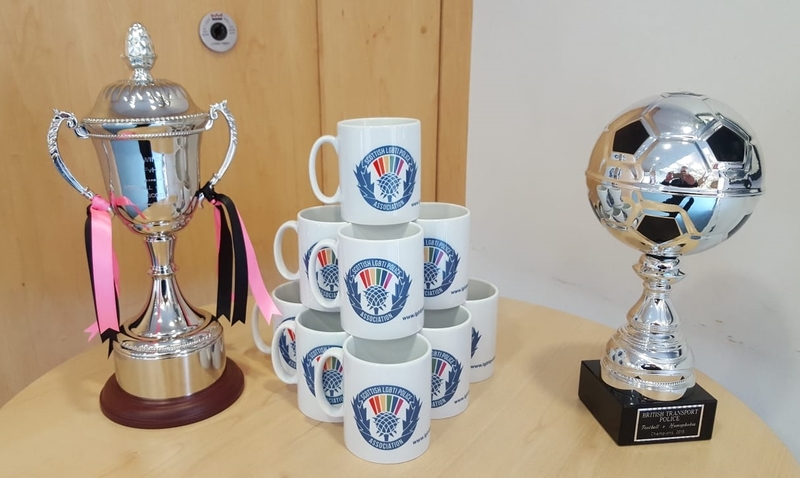 The tournament was closed by Carolina Souza of LEAP Sport Scotland who again thanked everyone for coming together to allow the event to happen and to provide Saltire Thistle with the fair play award for their conduct and sportsmanship through the day.